Holds up to 70 poker chips. Card storage compartment (1 Pack). Storage compartment for 3 x dice. 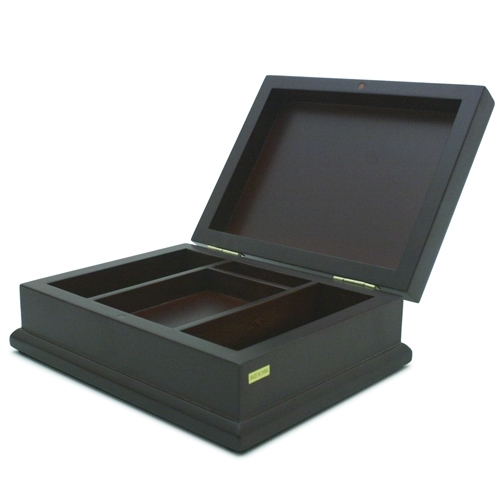 The Wooden 70 Mahogany Colour Poker Chip Box has a 70 poker chip capacity a compartment for a packet of cards and compartment for 3 x dice. The poker chip box is double hinged at the back has a magnetic lid catch and 4 x foam feet for no slip / no surface marking.